History at Brampton College is a flourishing department, popular with students at both GCSE and A Level. It can be combined with any other subject but is most often studied alongside English, Politics, Sociology, Economics, Psychology and Languages. Studying history requires good reading and writing and critical thinking skills, so there is a strong emphasis in our small teaching groups at Brampton on developing these skills as much as possible. 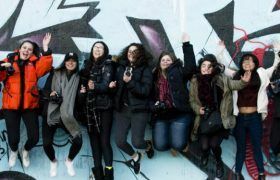 History is a widely respected subject at A level, which opens the doors to many university courses such as Law, Journalism, International Relations and War Studies, as well as courses involving history itself. History attracts students from a wide range of backgrounds and previous experience, and we put great store on open student discussion and students’ listening to each other’s point of view. The many concepts covered in the study of History enable students to integrate learning in other subjects, and there is a clear cross-over between work in history and in areas such as Economics, Politics , Philosophy, English Literature, Psychology and Classics. History is taught by highly qualified and experienced staff and is well equipped with the latest textbooks and a range of borrowing resources. 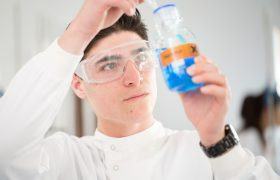 The courses we offer for our main teaching at Brampton are in Modern History, which reflect the expertise and interests of the department and the background of most students. We can also be flexible enough to offer tuition in other areas as required. Since September 2015, we have been teaching the AQA A level in History, and the three units covered in combination will give students a broad understanding of some key areas of development in the world since about 1850. Component 1: Breadth Study. The topic studied is Tsarist and Communist Russia, 1855 -1964. This covers a dramatic period of Russian and Soviet history and deals with key concepts of war, revolution and dictatorship, with key emphasis on individuals such as Lenin and Stalin. This is 40% of the A level. Component 2: Depth Study. The topic studied is Wars and Welfare: Britain in Transition, 1906-1957. This topic fulfills the requirement to study British history and covers a transformative period of British history including the impact of World War One, the depression years and World War Two on Britain’s politics, economy, society and culture. This is 40% of the A level. The topic studied is Britain and India 1756-1870. This is taught as an overview and students then choose from a range of questions to develop their coursework. This topic raises important questions about an important area of the world, and Britain’s imperial connections to it. A full reading list is available from the department. Brampton has an excellent record of achievement in one year intensive courses. The course offered is the Edexcel IGCSE course in Modern World History. This is an intensive one year course which does require good reading and writing skills. The course is assessed in two examinations. History at Brampton College is a burgeoning area and is taught by highly experienced A level teachers. 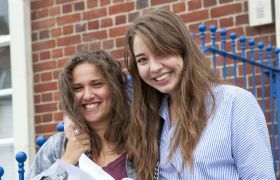 A level Examination results are exceptionally high with over 85% of students gaining A* – B grades at A level and 100% of students gaining A*-C grades at A level since 2010. 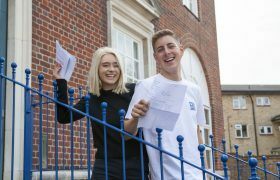 Students who join Brampton for their upper sixth year or to retake in one year are continuously successful in raising their grades. In addition, an increasing number of students are opting to read history at a wide variety of universities. The history department at Brampton is situated in a dedicated teaching area. The department is well stocked with the latest textbooks for the new specifications, as well as other resources for coursework. 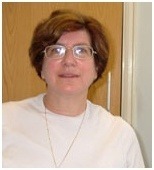 Judi read history at Cambridge and has many years of teaching experience at all levels. She has worked as an Assistant Headteacher and has experience in pastoral work as well as history teaching. Judi has particular interest in 20th century history especially Russian, British, Indian and German history. She has been at Brampton College since 2005. Apart from continuing to enjoy her teaching enormously she enjoys reading and watching cricket. 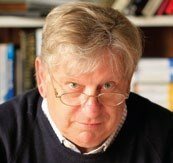 John is a very experienced teacher of Politics and History, who was head of department at the famous Oundle School for many years before coming to Brampton. He has a deep interest in all areas of history and politics, and has been at Brampton for 6 years, teaching with enthusiasm and humour. I came to Brampton after not receiving the grades that I had hoped for in my AS levels. I had worked hard for my first year of exams but I never really knew how to answer an exam question or how to revise properly for them. It came as a shock to me how much harder AS levels were than the GCSE examinations. I came to Brampton seeking help and support and they welcomed me with open arms- offering me extra tutorials, exam tips and an unlimited supply of past papers. From my first day in Brampton college, the teachers made an effort to get to know me and to help me change my approach to how I went about revising for my exams. Throughout all my school years, teachers never encouraged me as much as they did at Brampton. Brampton made me want to achieve my very best. As well as the support from the staff at college, I met students, many of whom are now very good friends. They were in the same position as myself and we all felt supported the whole way through our year at college. I never thought that with the grades that I had originally received in my previous school, I would ever get a place at the university of my choice and that I would have the opportunity the take a year out but with the help of the college, it was all made possible. I am currently in Israel experiencing a different culture, living, studying and volunteering. Next year I have a place at the University of Birmingham to study International Relations. Brampton made it possible for me to have a year with no worries and a year which would prepare me for university life. I want to thank Mike along with all my teachers, Heather, Barbara, Justin and Judi, who encouraged me, supported me and who had faith in me. I couldn’t have done it without Brampton College.